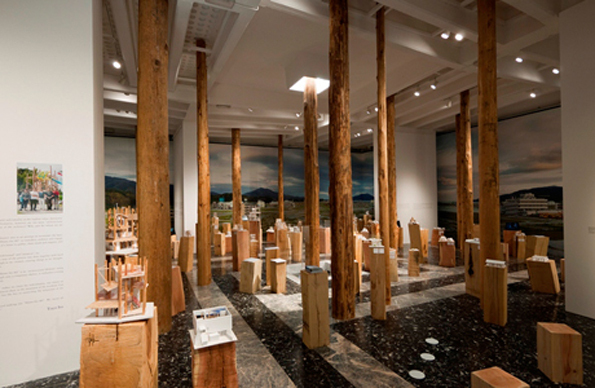 Established in 1895, the Venice Biennale continues to be one of the most respected cultural institutions. Initially launched as an International Art Exhibition, the Biennale eventually expanded into other areas such as music, cinema, theatre, architecture, and dance. The Architecture Exhibition, one that I follow closely, was launched in 1980. It is one of the most important event on the architectural calendar. This year, David Chipperfield was appointed as the Director and Curator for the Architecture Exhibition. The exhibition titled Common Ground will present 69 projects, with participants from the likes of Toyo Ito (Awarded Best Pavilion 2012 for his Japan Pavilion shown in the image above). “We began by asking a limited group of architects to develop ideas that might lead to further invitations: everyone was asked to propose a project along with a dialogue that reacted to the theme and showed architecture in its context of influence and affinity, history and language, city and culture. The exhibition is open until 25 November 2012. The person behind the camera, Tim Walker, has developed a distinct aesthetic to orchestrate and capture the whimsical images that he produces. From Tim Walker’s Official Website, the creative man is also making moving film now after working with stills for 15 years. His first short film, The Lost Explorer recently won best short film at the Chicago United Film Festival. Tim Walker’s status as a fashion photographer began when he was only 25, where he shot his first fashion story for Vogue. Since then, Tim Walker’s long term affair with the fashion magazine include images for British, Italian and American Vogue editions. One of his unmistakable trademarks, the experimentation with size of objects is again present in his 2012 Autumn/Winter ad campaign for British brand, Mulberry (shown in the above image). During release of his book Pictures in 2008, Tim Walker had his first major exhibition in London. The photographer had since won many awards including the Infinity Award from the International Center of Photography in New York. October 2012 marks another exhibition of Tim Walker, self-titled Tim Walker: Story Teller at Somerset House at the city of his residence – London. A book titled Story Teller to include 175 images, collages and snapshots will also be published to coincide with the exhibition. The exhibition runs from 12 October 2012 to 27 January 2013. For more information on the upcoming exhibition, visit Somerset House’s page for the exhibition.